Imagine a hot fall day, with the sun doing its best to dry out the earth. 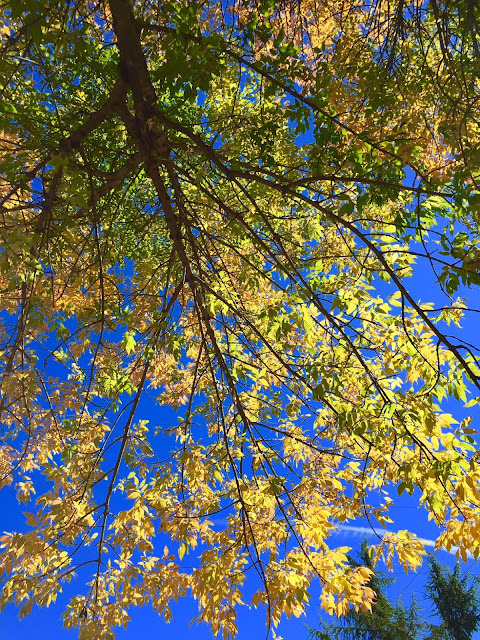 You are lying on your back, looking up through the green, brown, and yellow leaves of this golden tree into a deep blue sky. All is well in your world. Your cares slip away. Now get up, because you are lying on N 185th and a bicyclist is about to run over you.